Pity poor DC. In the superhero movie rivalry they’ve continuously been getting the short end of the stick. Sure, they’ve made some stinkers, but hasn’t Marvel as well? When you actually think about it, every superhero movie has been a success because every superhero movie has made a gazillion dollars worldwide. Marketing-wise it just seems like Marvel has won the brainwashing brand loyalty battle. They’re like Apple. We’re supposed to eagerly anticipate new product and are unable to distinguish the good stuff from table scraps. In this sense, DC is the underdog. You know people were hesitant about Aquaman in the year leading up to its release, but as it turns out, it’s kind of the Guardians of the Galaxy of the DC universe. It’s keenly aware of itself and embraces how ridiculous it is. Instead of holding out, it goes out balls to the walls. You know this is true because there’s a giant octopus playing the bongos in this movie. Aquaman might very well have made or broken DC and if they were gonna go, they definitely were gonna go big. 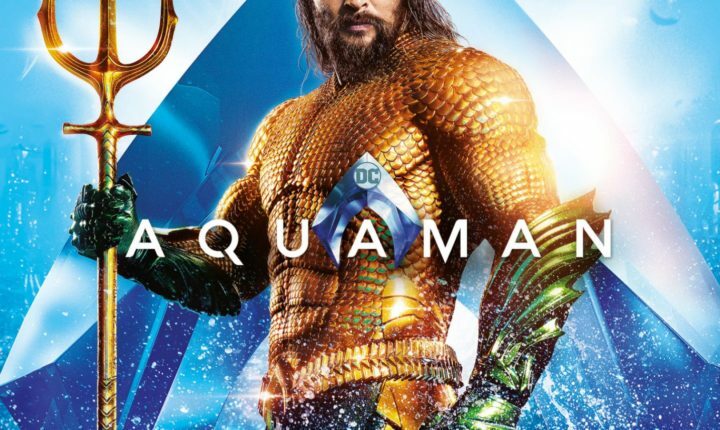 Look, there’s no reason to pussyfoot around here: Aquaman is a ridiculously perplexing movie where a ton of risks were taken and not all of them paid off. I feel like I need to pass an insanity test every time I talk about a DC movie so let’s just point out the obvious flaw here which is that Aquaman is a movie full of great ideas but unfortunately doesn’t have the technology to pull it off yet. Look, I get it. This movie is supposed to take place underwater, but the underwater scenes look and sound unnatural or just plain weird. There’s so much CGI going on and the voices are so distorted that it’s just way too distracting for all the serious acting that’s supposed to take place in it. That’s a huge drawback to this movie and maybe the biggest one in my book. I’ll easily take a musical octopus after swallowing this pill. But what about what Aquaman does well? Well, there’s plenty of that too. For one, the action scenes are pretty phenomenal and huge in scale. Whether it’s Nicole Kidman fighting Atlanteans in a living room, Jason Momoa’s submarine fight, or Aquaman and Mera’s Italian rooftop sequence, there is some great camerawork and very inventive directing going on with long uncut scenes that truly explore the space. It’s easy to get absorbed in these scenes and be impressed by them. Also, there’s the chemistry between the main characters where they play off each other pretty well with Heard being the straight woman to Momoa’s goof ball. Arthur is a big dumb ape and Mera isn’t afraid to point that out over and over again. Finally, there’s the scale of this movie which is huuuuuuuuge. It explores so many different locations both on earth and underwater. The movie goes to 4 continents and explores multiple underwater kingdoms, not to mention several cool sequences out in the water. Yes, Aquaman is silly but it just might be in on the joke. It might lack some of the grit of previous DC movies but its success means this is a good thing. Aquaman has probably saved the entire DC franchise and shows that there’s a lot of life left in these comics.